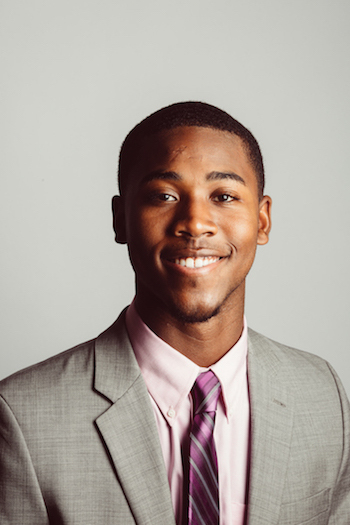 Toussaint Williams ’18 is on a mission to build bridges between Jamaica and China. The recent international affairs grad has placed a big red pin at the point where his knack for Mandarin Chinese, propensity for economic development and heart for his native Jamaica meet. “China does a lot of development work in Jamaica, building roads, bridges and infrastructure,” he explains. “But there are not many Jamaicans fluent in Chinese.” Williams wants to fill the gap between Chinese investors and the Jamaican government; to be “the person in the middle” mediating the relationship for Jamaica’s betterment and development. When Williams immigrated to the United States at age seven, he found both separation from his own culture and opportunity to learn many others. Settling in Stamford, CT, Williams dabbled in other foreign languages for a while, but none compared to his natural passion and talent for Mandarin. “I remember my Chinese teacher saying to me, ‘Wow your pronunciation is really good’,” he says. “‘Maybe this is the language for you.’” With reoccurring encouragement from middle and high school teachers, Williams continued to pursue Mandarin. Years later at Gordon, Williams pursued Mandarin rigorously, including an independent study with Mandarin instructor Lei Carter. Carter was equally passionate about Williams’ pursuit of fluency and, ultimately connected him with an opportunity to learn Mandarin in China—paid in full by the Chinese government. After a rigorous application process, Williams was awarded a place at the prestigious Beijing Language and Culture University through the New England Board of Higher Education (NEBHE)-Chinese Government Scholarships. After arriving in Beijing in September, the former Clarendon Scholar faces the next two years with determination, eager to apply what he’s learning to affect change in Jamaica. Though he traveled in the opposite direction for this stop along his career journey, dedicating two years of his life to learning Mandarin and being part of Chinese culture brings Williams one step closer to Jamaica.